Article: Does This New Study Have Major Implication for Infection Control? New research finds a high prevalence of KPC in hospital sink drains. 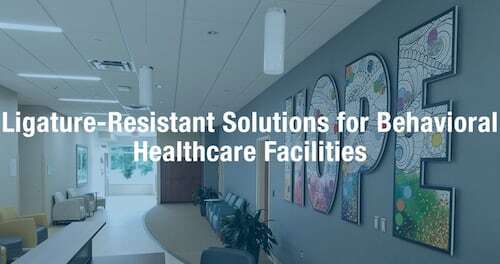 When it comes to reducing hospital acquired infections (HAIs), the decisions you make when choosing fixtures for your facility can have an impact. WaterSense recent advancements have allowed toilets to use 1.28 gallons per flush or less while still providing equal or superior performance. 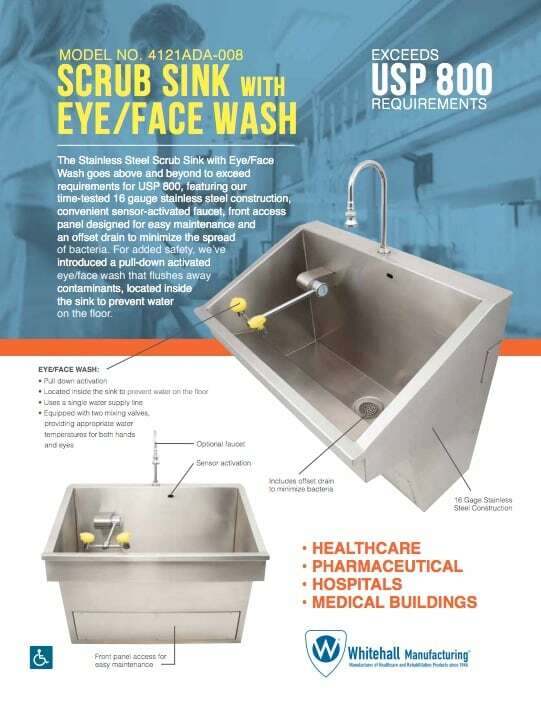 Article: Whitehall® Introduces New Stainless Steel Scrub Sink With Eye/Face Wash.
Whitehall® Manufacturing has introduced a new Stainless Steel Scrub Sink with Eye/Face Wash goes above and beyond to exceed requirements for USP 800. 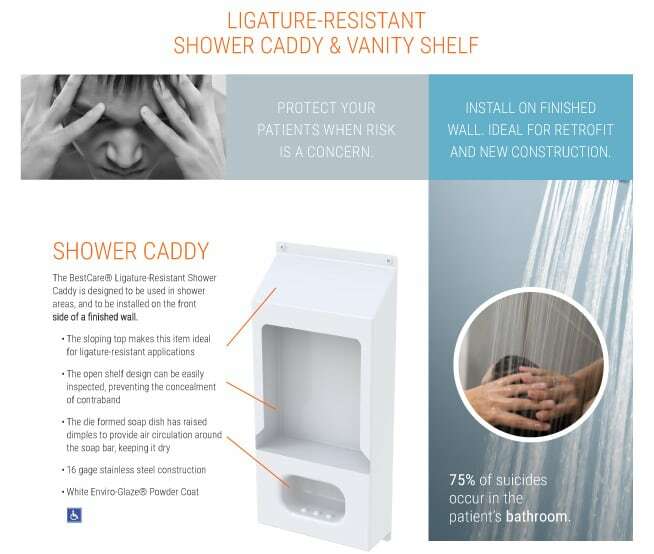 Ligature-Resistant Shower Caddy is designed to be used in shower areas, featuring a sloping top that reduces the risk of ligature attachment in behavioral healthcare settings. 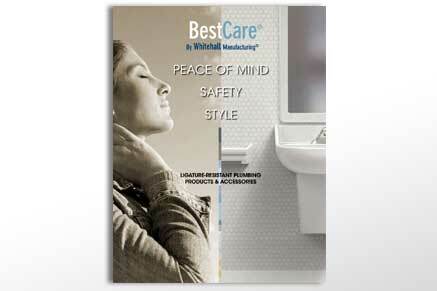 Whitehall Manufacturing® is proud to announce the release of our Healthcare/Plumbing Products & Systems Brochure! 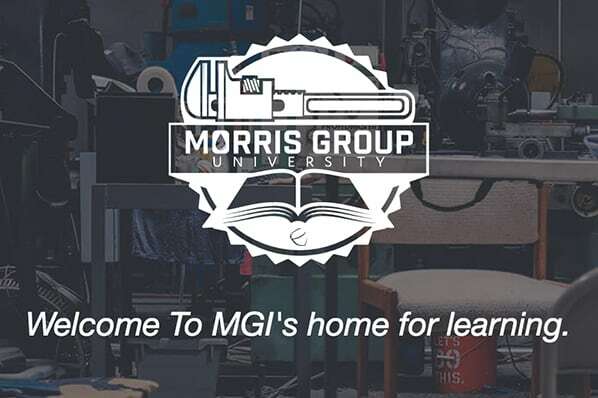 For-credit course offerings are part of Whitehall’s continued efforts to provide education to architects, building owners and interior designers. Healthcare facilities are now striving to meet the needs of all patients to offer not only healthy and safe spaces, but inclusive spaces as well. 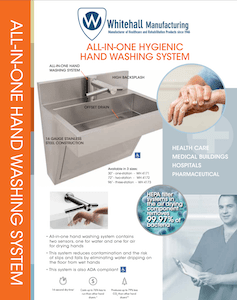 Article: Whitehall® Introduces All-In One Hand Washing System. Whitehall® Manufacturing is proud to announce the release of our newest innovation, the All-In-One Hand Washing System! 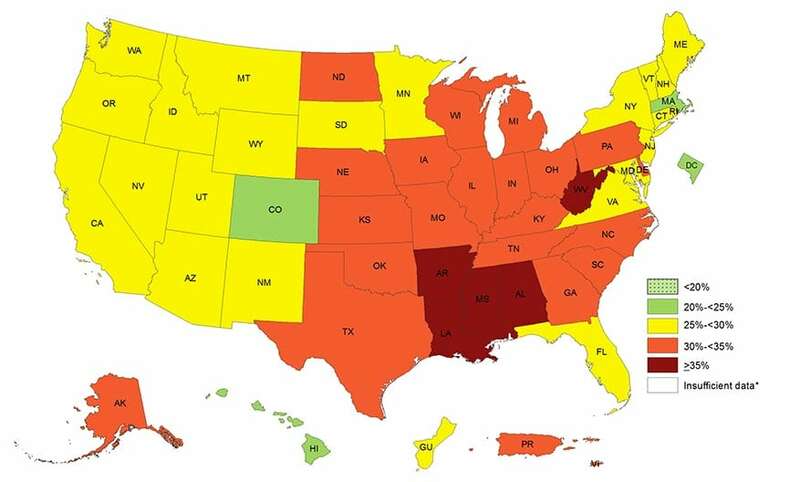 The CDC reports that more than one third (38.9%) of U.S. adults are obese. Healthcare providers are apt to interact with a relatively higher percentage of obese patients due to related conditions such as heart disease, stroke, type 2 diabetes and certain types of cancer, driving them to seek treatment. Read this article to discover simple ways to prepare your healthcare facility with bariatric patient safety in mind. 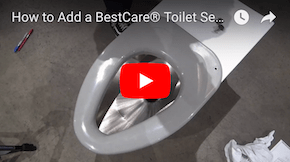 The United States Patent and Trademark Office issued patent #10052000 to Acorn Engineering Company for a ligature-resistant toilet seat that is part of Whitehall Manufacturing’s BestCare™ line of ligature-resistant products for the behavioral healthcare market. 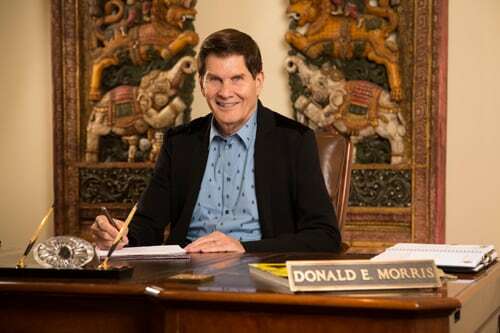 It is the first and only such patent released to date. 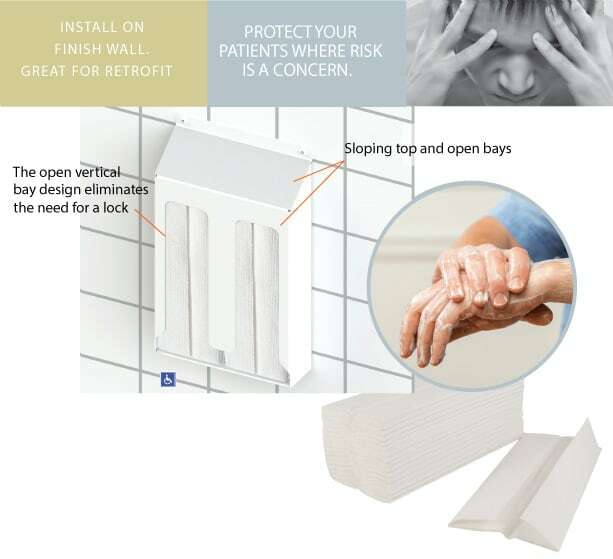 Article: Can Sink Design Play a Role in the Prevention of Hospital Acquired Infections? HAIs are a devastating and costly problem for hospitals. 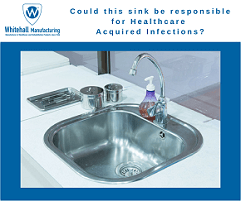 Read to find out how a hospital in Toronto pinpointed the source of an infection outbreak and how Whitehall Manufacturing is helping others prevent the same situation. 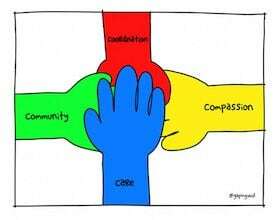 Article: Join us as we explore Healthcare Design! 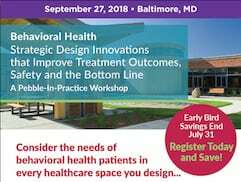 A must attend event for design, facility and care professionals working in dedicated behavioral health and all other types of healthcare facilities. 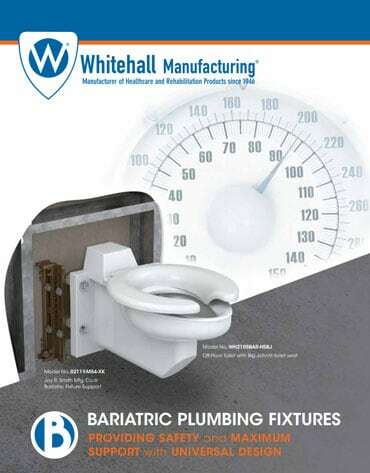 Article: Whitehall® Introduces New Bariatric Products Brochure. 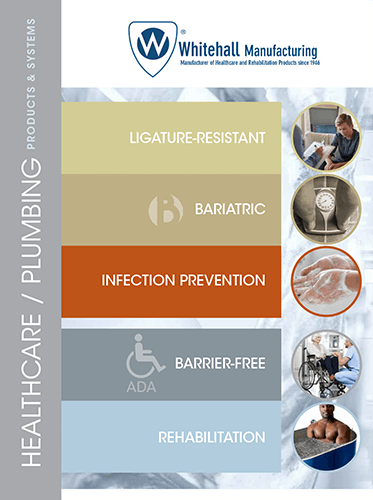 Whitehall has introduced a new brochure showcasing products for Bariatric patients. Article: The launch of the new behavioral & mental health toolbox. The Center for Health Design has launched a portion of the new Topic Toolbox, titled “Behavioral & Mental Health”. 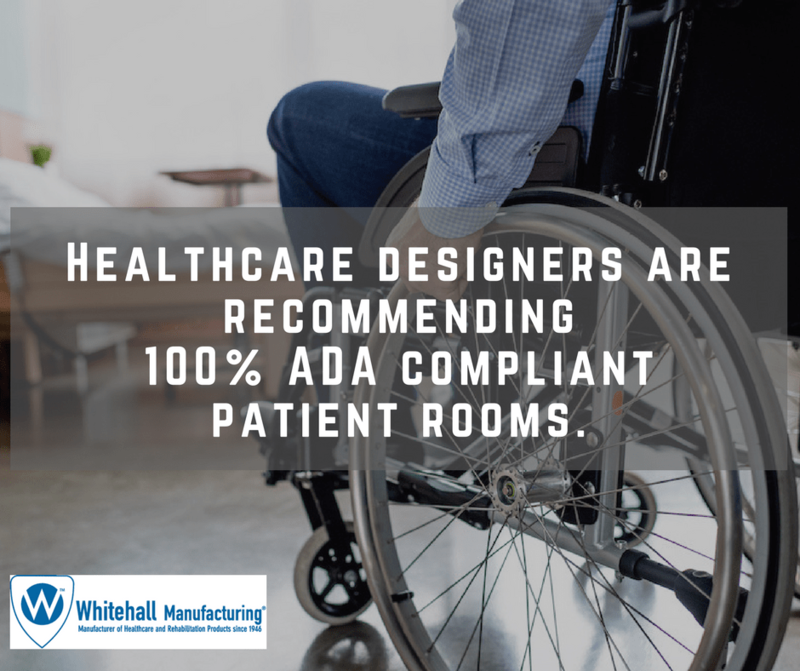 Representatives from Whitehall Manufacturing and AcornVac were recently interviewed by Kristin Zeit of Healthcare Design Magazine. Some healthcare facilities are leading the way and are striving to meet the needs of all patients to offer not only healthy and safe spaces, but inclusive spaces as well. 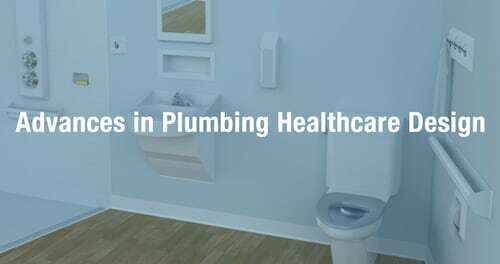 Recent advances in plumbing design, especially with universal and ADA bathroom design, are helping those facilities meet their goals. 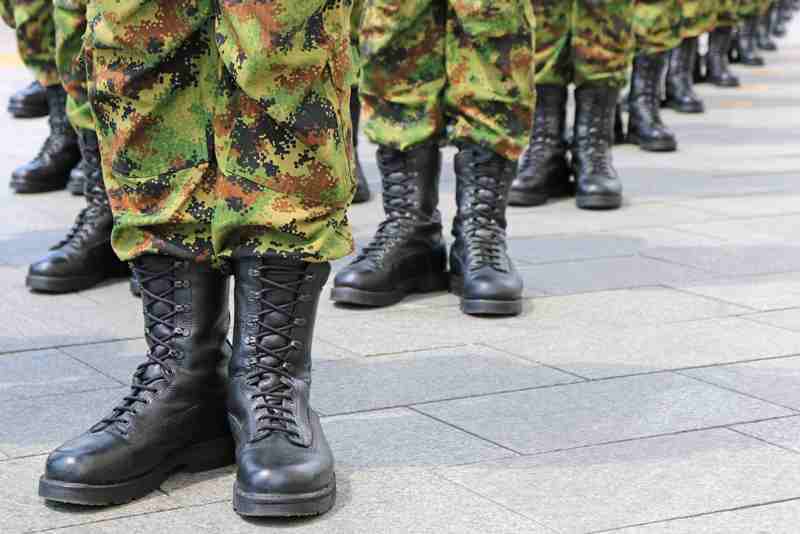 Discover how the Veterans Administration is working to prevent veteran suicides and learn how you can help. 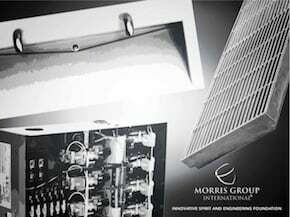 Article: Announcing the release of the Patient Handling System (PHS series). 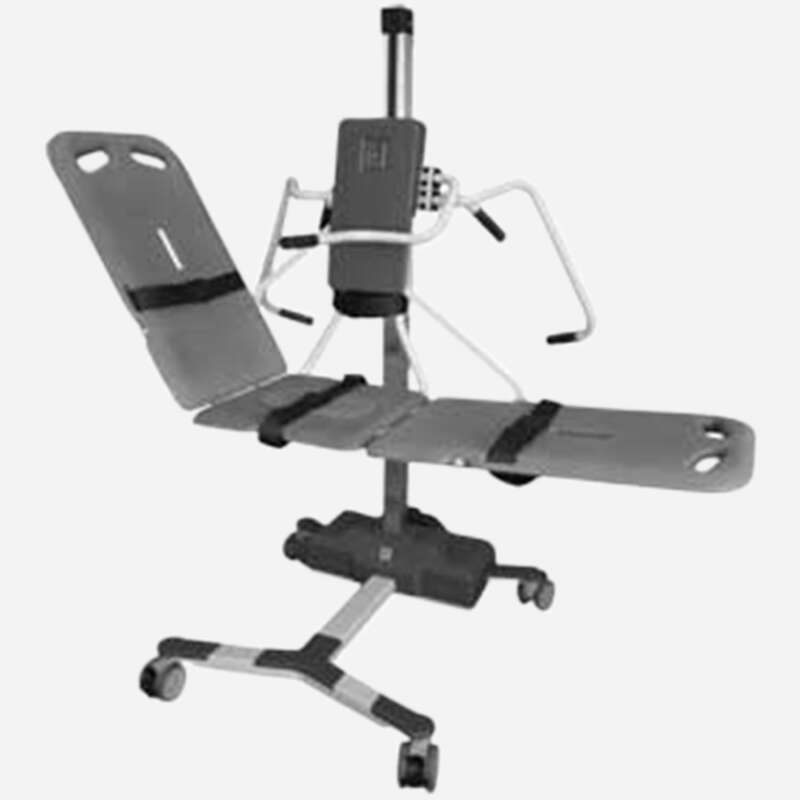 Patient Handling System enables them to make all lifting and moving operations as streamlined and efficient as possible at every single stage. 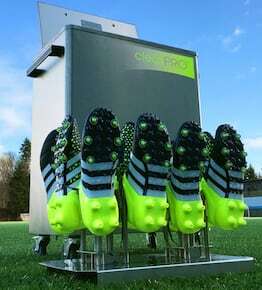 Whitehall Manufacturing is happy to announce the release of a new product CleatePro. 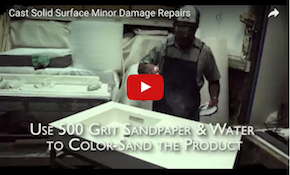 Whitehall Manufacturing is happy to announce the release of a new video instructing the repair of solid surface material and cast solid surface products..
Whitehall Manufacturing is pleased to announce the availability of a new video featuring a tour of the Whitehall Mobile Showroom! 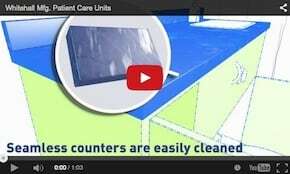 Whitehall Manufacturing is excited to announce the release of a new video showcasing the various features and benefits of Whitehall Patient Care Units (PCU).